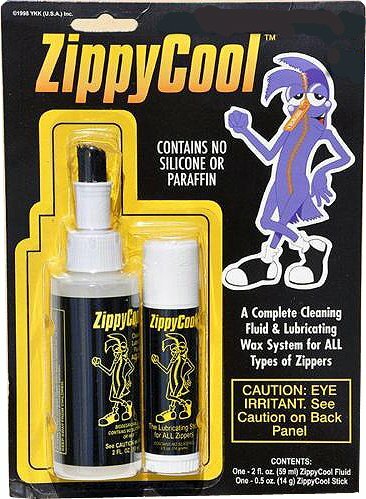 Zippy Cool ~ Cleaning Fluid & Lubricating Stick, the Complete Zipper Care System. If you have any questions about this product by Zipperstop Wholesale YKK®, contact us by completing and submitting the form below. If you are looking for a specif part number, please include it with your message.